We’re excited to announce that Books for Africa is our March Jean Friday Charity! Books for Africa collects, ships and distributes books to students of all ages in Africa. Their goal is to end the book famine in the continent. This charity selection also leant itself perfectly to hold our first ever employee book drive! 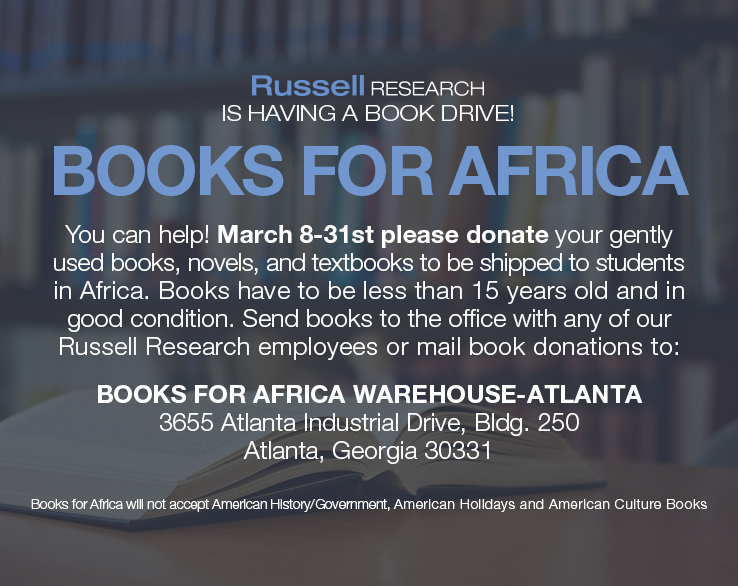 Over the next three weeks employees can drop off gently used books and at the end of March they will be donated to Books for Africa along with the money raised through jean Fridays.